Google is one of the largest multinational companies in the world with several employees working under it. 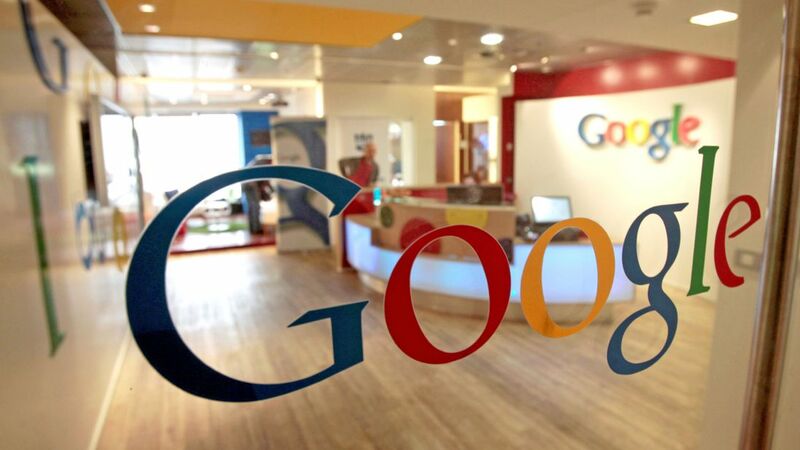 Everyone dreams of getting a job at Google, as it offers good packages and other benefits. 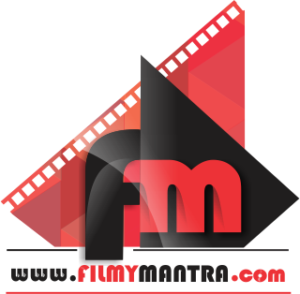 Google is also one of the very few companies that also focuses on the satisfaction and wellness of the employees along with customer satisfaction. A Google employee got its taste in the sweetest way possible. This employee used to get a day off on Saturday but his adorable daughter wanted one more day off for her father. 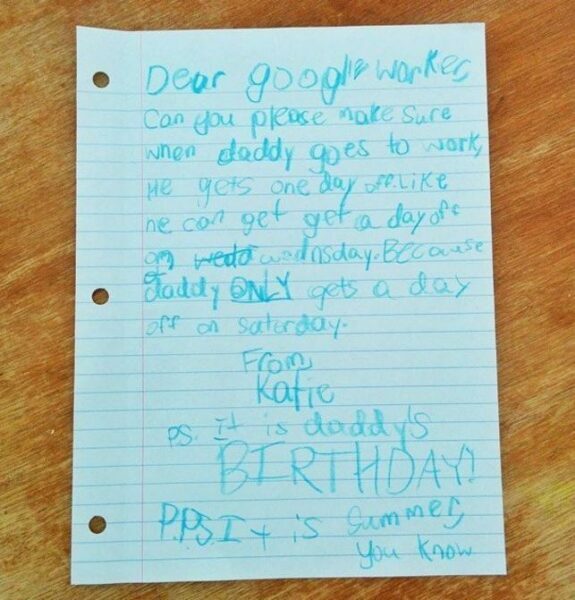 The daughter wrote a letter to Google asking them to give her father a day off that too on Wednesday. She also mentioned that it was her father’s birthday. 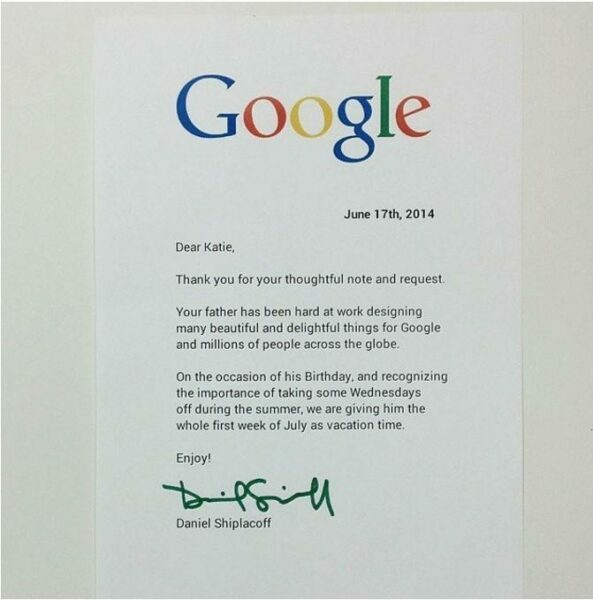 This adorable letter impressed everyone including Google management. The management team liked this letter so much that her father got a bonus week off. This gesture from Google has once again proved how much they value their employee’s satisfaction and well being.